I was already in love with Natalie’s vocal and her songwriting style long before I got to meet her. Watching the way she has developed as an artist over the past two years has been an eye opener. Having spent some time with her too just means I have perhaps slightly more insight into some of these tracks than the average reviewer will have and this is no bad thing. 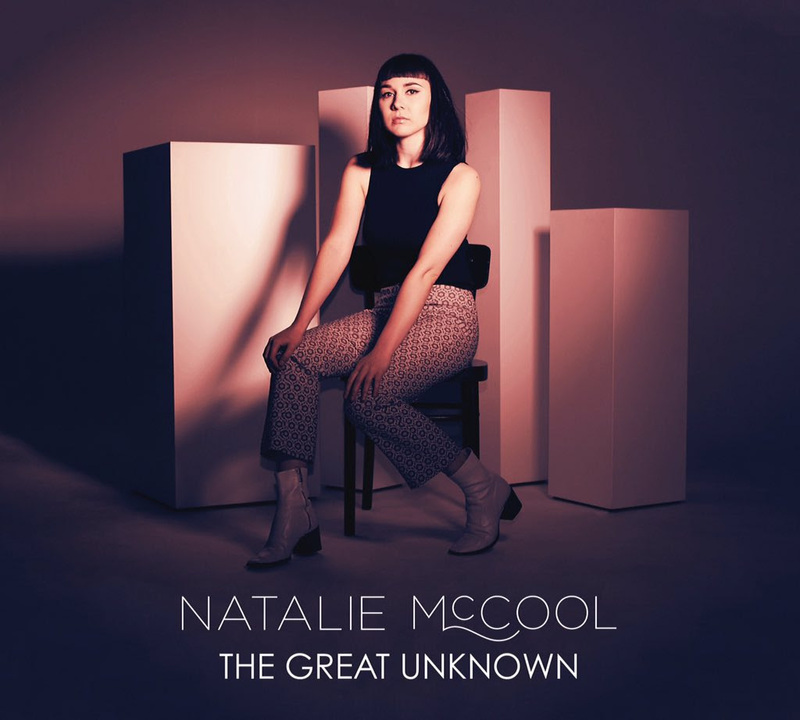 So what do we have here then with Natalie McCool’s new album The Great Unknown? Well actually, for me, not really all that much “unknown”. That’s not a burn, that’s a public admission that I’m a bit obsessed with her music if I’m honest. Opening with my favourite track, Pins, totally sets the scene in terms of style and in terms of themes. This is an album where Natalie lays it on the line. It’s real and so relatable on so many levels, yet it’s done without any of those obvious clichés. Pins and Oh Danger both have a minimalistic pop feel where the focus is the melody of the vocal rather than in a stonking guitar riff. Guitar is ever-present but serves only to add edge and punctuation. If it’s more guitar that you want then try out the mesmerising guitar twinkles on Dig It Out. There’s still loads of minimalistic space created in this track with echoes and timing. But it is kept warm with those gently-glowing percussive beats, which make it feel softer in comparison to other tracks and the guitar sings out as much as Natalie does here. The Great Unknown isn’t an album that’s just full of atmospheric minimalistic art-pop though. Feel Good has pace and grit and showcases Natalie’s ability to use her vocal to create something simple and sublimely fragile as well as something more hard hitting, giving us an album of differing intensity which moves around with ease. There’s a bit more power and bile in her vocals here than can be found else where on The Great Unknown. Getting a bit more pace going too is Magnet, which, has radio hit all over it if you ask me, I know you didn’t but I’m going to say it anyway. It’s encased in a glorious fuzz and has short sharp smacks of attitude, which is needed to stop the album erring too much on the side of the lonely and forlorn. Elsewhere on the album, Fortress takes things to a different level of intensity. It’s built, just, as it’s namesake, from layers. Sounds are built upon each other to create something more withstanding and emotive. It’s a smart track in so many ways; from how it builds to the lyrics, which personally hit hard, and to the musical flavour, which includes something of a reggae beat, all without deviating away from overall feel of The Great Unknown. The gospel choir that backs her up also adds a real richness to the album. It delivers a track which is undulating and joyous in its support of, the often difficult to discuss, theme of mental health. The Great Unknown is an album which captures a range of emotions in a range of ways, intelligent lyrics, flawless production and interesting changes in direction throughout, make this one of my favourite albums of the year thus far. I might well have already spent time getting to grips with many of the tracks ahead of time, but when pulled together with new additional material, it all makes for a more than enjoyable listen and confirms Natalie McCool as one of the most underrated emerging musical talents in the UK right now. Pre-order The Great Unknown here. Read our interview with Natalie McCool here.